“The data reveals that the retirement gender gap is alive and strong. Women still earn less, have less to save, and are less likely to have workplace retirement plans,” said Ilana Boivie, a policy analyst with the National Institute for Retirement Security (NIRS) and author of Shattering the Retirement Glass Ceiling: Women Need a Three-Legged Stool. The three legs of that stool are Social Security, a defined benefit pension plan, and a defined contribution plan, like a 401(k) or IRA. Let’s look at how wobbly each of those legs is for too many women. The 2016 Transamerica Retirement Study revealed that 29% of the women surveyed expect to rely solely on Social Security once they retire. Given that Social Security payments are intended to replace just 40% of the average earner’s wages, that creates a path to poverty. Indeed, another NIRS report, Shortchanged in Retirement: Continuing Challenges to Women’s Financial Future, found that women are 80% more likely than men to be living in poverty after they reach age 65. There are a few reasons for that. First, women earn less than men. On average, women earn 79¢ for every $1 earned by men. Over a career, that creates a $300,000 wage gap. This means their Social Security payments are correspondingly lower. Working part-time, as many women do, adds to the disparity. In addition, women live longer than men. Today, a woman’s average life expectancy is 80 years, five years longer than a man’s. This means her retirement savings—already an average of $10,000 less than a man’s—will have to last longer. Fewer women (23%) than men (42%) over age 60 have a defined benefit pension to rely on. And even that, 23% of women are likely to receive smaller payments. Because the amount a retired woman receives from her defined benefit plan is typically calculated using length of service and salary history, women receive less benefit. A third less, to be exact. On average, men receive annual pension benefits of $17,856; women, $12,000. Fortunately, many people have the opportunity to participate in a defined benefit pension plan (33%) and 11% can participate in both a defined benefit and a contribution plan through their employer, according to the Employee Benefit Research Institute. But here again, women are at a disadvantage. According to the NIRS research, men have an average of $36,875 in their 401(k) account; women $24,446, a 34% difference. Again, the gender gap in wages plays into this disparity. Furthermore, a woman with a salary of $50,000 needs to save $1,000 more every year than her male colleague to achieve equitable retirement income because of her longer life expectancy. In addition, women are more likely to work for an employer that does not offer a 401(k) retirement savings plan. Every time a woman changes jobs, she can take her 401(k) account balance with her by rolling it over into her next employer’s plan, or into her own IRA. That second choice, especially if it is a self-directed IRA gives her more control over how her retirement savings are invested. 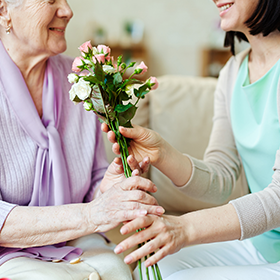 Whether you are a mother, have a mother, or just care about someone like a mother, this Mother’s Day encourage her to look forward, not back, and save for her own comfortable retirement. 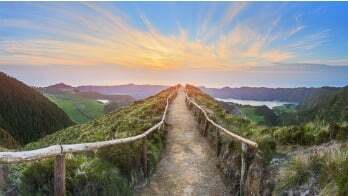 Entrust makes it easy to open an Entrust Self-Directed IRA. The application takes less than 10 min, and you can use the time you save to buy a card tomorrow!